This is our van to transport teams and goods. 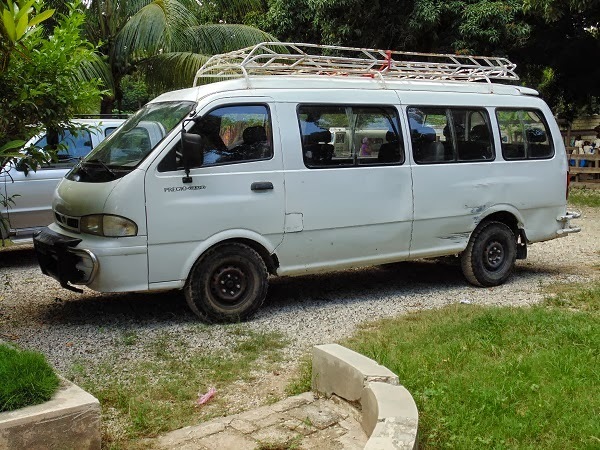 Right now it is out of use - head gasket problems. 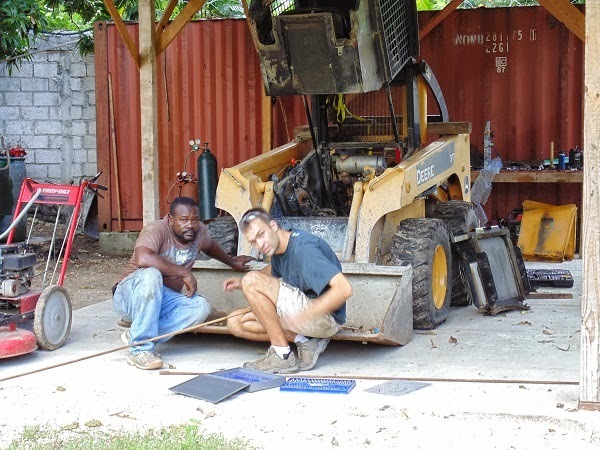 This is Ivon, our Haitian mechanic with Joe, our Canadian missionary mechanic. 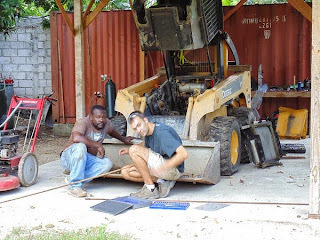 They are working on the bobcat - it also has head gasket problems. With these two vehicles out of service, it adds complications to our day to day operations.